By Kitchen; Hotel, restaurant, café, fastfood, bar kitchen installations, providing projecting support by providing the products that the customer needs in a timely and error-free manner. Our services are after sales; Technical service and technical support. By Kitchen; Expobar, Cimbali, Brema, Technoinox, Cunill, Piron, Rational, Ugur, Fimar, By Kitchen. 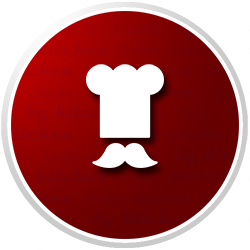 By Kitchen is excited to share its knowledge and experience in the retail, industrial kitchen and e-commerce sectors with your esteemed customers. From the day it was established, By Kitchen has an expert staff that sells industrial kitchen products. We offer a wide range of products such as ice machine, corn blasting machine, cotton candy machine, bar blender, industrial fryer, coffee machine, set top mixer, cold display unit, vegetable chopping machine, waffle machine, oven, conveyor dishwasher, A bread slicer, a waffle machine, a bar mixer, an ice crusher, a tea machine, a hot chocolate machine, a citrus squeezer and many more. By Kitchen; Hotel, restaurant, café, fastfood, bar kitchen installations, providing projecting support by providing the products that the customer needs in a timely and error-free manner. Our services are after sales; Technical service and technical support. By Kitchen; Expobar, Cimbali, Brema, Technoinox, Cunill, Piron, Rational, Ugur, Fimar, By Kitchen. You may have detailed information about our products and about us. Our export volume to the Middle East, Europe and Africa continues to increase. With our growing dealer network, we are shipping our products to all of Turkey fast. We are authorized dealers We import products to all over Turkey. We provide professional services with more than 20 years experience in the sector.